Over the last 15 years, railway transport in Europe has gone through tremendous changes. In the past, the responsibilities for all aspects of the railway were in most cases and in most countries with the state. 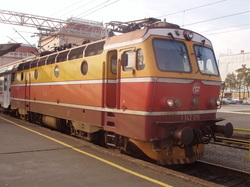 The liberalisation of the European railways started with the European Directive 91/440, which first required a formal separation of activities of railway operation and management of infrastructure through separate accounts. Today, a structure exists in which some basic processes have to be organised completely independent of each other. This structure includes the assessment of railway product, systems and operations. WALENBERG Rail Assessment possesses all the expertise and experience to help you apply the requirements and the legal structure. The services provided by WALENBERG Rail Assessment will help you to develop, design, produce, test, assess and certify your railway products and systems in complete compliance with the legal requirements. Two important European Directives form the basis for the technical specification of the railway and its parts. These are the Railway Safety Directive 2004/49/EC (amended by Directive 2008/110/EC) and the Railway Interoperability Directive 2008/57/EC. These are two of many Directives, but from the technical perspective these two are fundamental and other documents in the legal structure originate from them. Three different types of documents complete this legal framework: the Technical Specifications for Interoperability, the Common Safety Methods and the European Standards. The Interoperability Directive 2008/57/EC determines that the technical requirements for the interoperability of the high speed and conventional rail system are defined in further documents, which are called the TSI: Technical Specifications for Interoperability. These key documents are arranged either by structural subsystem (like Energy, Infrastructure, Rolling Stock and Control, Command and Signalling) or by common areas of application, which include more then one subsystem (like Persons of Reduced Mobility, Safety in Railway Tunnels or Noise). TSIs also contain all the elements which are necessary to evaluate, assess and finally certify the conformity of railway products (interoperability constituents) and subsystems with the requirements. Walenberg Rail Assessment is very familiar with the different TSIs and can assist you in applying them. The Commission Decision 2009/460/EC, containing the requirements for the assessment of the achievement of Common Safety Targets. assessment of the achievement of Common Safety Targets. The third level of requirements in the railway field are the Railway Standards. Many technical subjects are covered by standardisation documents. A special feature is, that the formal application of Railway Standards is normallly not required. The application of standards is voluntary in the normal situation. However, exceptions exist where standards can be mandatory. Some standards request that independent assessment takes place, like the RAMS standards EN 50126, EN 50129 and also the EMC standard EN 50238. As an independent assessor WALENBERG Rail Assessment is well positioned to perform assessment activities under the European railway standards. The European (EU) system of regulations and rules has developed as described above. Outside the European Union other sets of rules apply, however the EU structure is also being used. For example in the modernization of the COTIF. Frank Walenberg, the director of Walenberg Rail Assessment is arbitrator for the Netherlands in OTIF. Visit OTIF for more information.